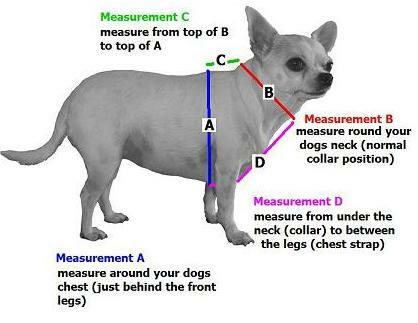 To measure for a Collar.. 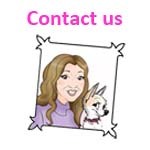 The easiest way is to take your dog's most comfortable collar and measure it. This will give you the actual size of collar for your dogs neck..
Measure from the centre of the buckle to your dogs favourite hole. 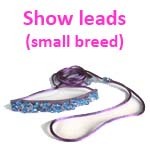 To measure for your dogs harness..
Use our easy size guide. 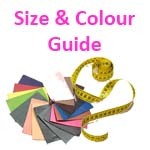 Please measure carefully, as all harnesses are made to exact order sizes given. 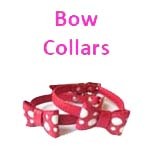 Tallulah Couture collars come in width 1/2", 3/4" and 1". 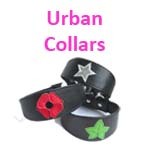 Each collar is made using full roller buckles (as shown) for extra strength and All collars come with metal eyelets to protect the soft leather from enthusiastic pullers. 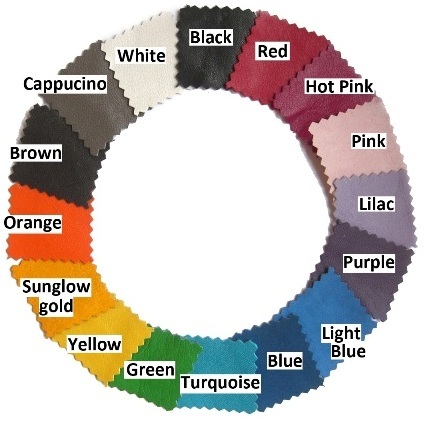 Unlike most collars, we use an extremely soft nappa leather. Our collars are triple layered nappa, lined with a strong nylon woven inner. They are very strong and durable as leather always is, but retain the softness and luxurious feel that we love here at Tallulah Couture. Tallulah Couture collars are hand crafted and therefore unique one off designs. Items may vary slightly from the pictures. This is the charm of the item as you will never have another exactly like it. Every item is hand made to order, so please be aware that you will not be receiving a 'mass produced identical product.' If you require two or more matching items, there may be very slight differences on them. This is the charm of a Tallulah Couture product. 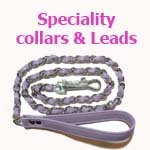 For size guide and how to measure you dogs collar, please consult the SIZE GUIDE page. 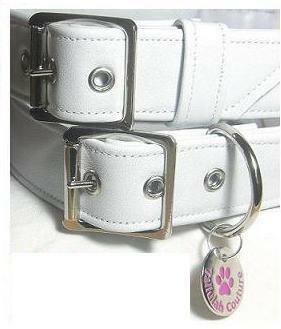 The measurement of ACTUAL neck size should be taken and we will make a collar suitable to that size. The size you order is the ACTUAL neck size of your dog in inches. We make our collars with one hole smaller and one hole larger thn the actual neck size. If you are buying for a puppy, let us know if you would like the actual neck size the smallest hole to allow for the growth. Measurement mistakes on non bespoke items may be changed but an additional delivery cost will be charged. 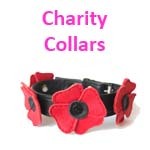 Bespoke items will not be exchanged so please ensure you measure you dogs' collar size correctly. Please note that harnesses are made to order and therefore non-refundable for measuring mistakes. Where possible extra holes can be added to make a harness smaller. if this is the case, a charge will be made for postage only. Tallulah Couture collars usually take up to about a week to make. Special requests may take a little longer if specific or unusual items are requested. As I am sure you will appreciate, your hand crafted collar will be worth the wait. We use Royal Mail for our deliveries. We will keep you informed if the delivery time will be longer than usual. During the Christmas period, like Santas grotto we are often snowed under with christmas orders. Orders may take us a few days longer than usual. Delivery - For UK only - standard recorded postal delivery- 3-5 working days. £4.75 per item (plus £1.50 for each additional item) -All items are delivered using recorded delivery which requires a signature. Please be aware that undeliverable items may require collection from the post office and may have a time limit for collection. Tallulah Couture are not liable for items not collected within this time limit. Please contact me if this happens and i will be able to give you the reference for your track and trace. For lost or damaged items, claims to the Post office will be made on your behalf. Please only accept / sign for packages with no damage otherwise I cannot be responsible for the items contained. For non-UK - from £9.50 per item. Please not that whilst I send all items International recorded delivery, i cannot be held responsible for the delivery time as some countries have less efficient delivery services than UK and may take longer than others. 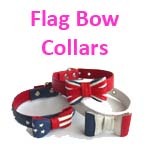 Tallulah Couture collars are hand crafted fashion wear. They are unsuitable for heavy rough active use. If you think of them as a piece of jewellery that you would treat carefully ad take off a night. We hand sew the decorative element with high tensile nylon filament. 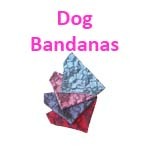 Please be dog aware with choking hazards of some of the charms and loose elements of the designs. 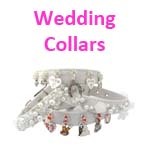 If your dog is constantly scratching its neck, pulling on the collar or actively playing with other dogs then a Tallulah Couture collar is not a good choice for everyday wear – perhaps just for occasion wear. For more sedate dogs, they are fine. 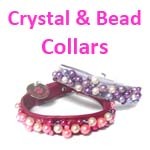 Tallulah Couture collars have loose charms and jewels so please be 'dog aware' with regards to choking hazards. Tallulah Couture Harnesses are for small to medium dogs only. They not designed for enthusiastic pullers and are unsuitable for rough active use. Larger harnesses can be made on request, please message us for more details. If your little ones decide to chew / tug / play with a Tallulah Couture collar and it gets damaged, I can make simple repairs. However, there will be a small charge, price on application. 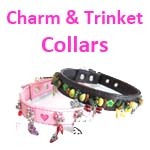 With care, a Tallulah Couture collar can last a lifetime. GIFT Section - Cushions and Jumpers are bespoke and therefore non-returnable. 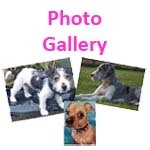 Photos/ pictures submitted for personalised cushions must be of good quality. I will do my best with the photo/picture submitted but some correspondence may be required to ensure I can produce the best quality for you. This may take a little longer than usual but it will be well worth it. Distant selling regulations - You have the legal right to return anything bought from us within seven working days following your receipt of the goods. If you are returning an item that is not suitable we will refund you for the item purchase price in full (as long as it is received in the condition it was sent) If you wish to cancel then it must be in writing (this includes email or letter) If you cancel under the Distance Selling Regulations, you must return the goods and cost of return must be at your expense. You must take reasonable care of the goods and ensure that they are not damaged in transit. We are unable to offer a refund or exchange on personalised or bespoke items. Information on which items are standard (and therefore returnable) and which are bespoke are on the description of each item in the 'Tallulah shop.' We strongly recommend that you return items by one of the Royal mail recorded services where a valid signature is required for receipt. Tallulah Couture staff will personally sign for an item and are required to provide their full name to the Royal mail delivery service. This will allow you to be able to track your item should there be any discrepancies. 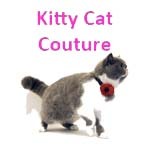 Please return item to :Tallulah Couture, c/o 135 Belvedere road, Bexleyheath, Kent DA7 4PA.